This daughter craft is developed to deploy different equipment and perform a wide range of tasks in its large aft deck. 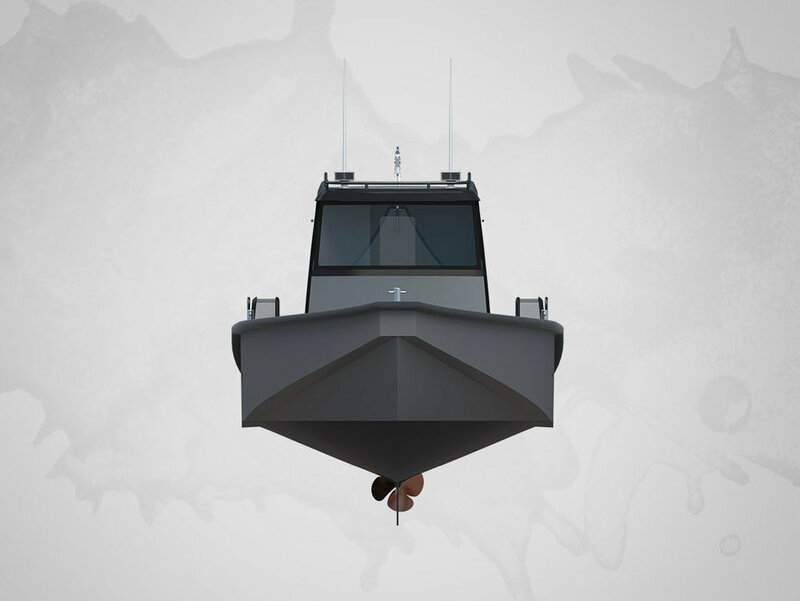 The hull shape in bow and stern has been specially designed to allow navigation through a thin ice layer in artic areas. The design of the ProZero cabin ensure a huge amount of daylight, this also improve the personal comfort. Benefits by being significantly lighter than market average are lower fuel consumption and lighter lifting equipment on mother vessel.